The clouds gathered over Albion Park Raceway, threatening a storm of Noahic proportions. 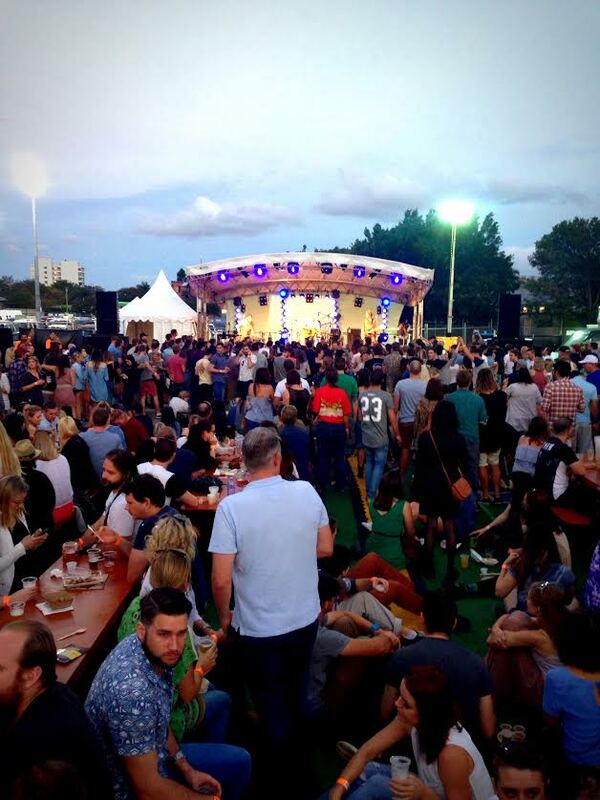 But although not a drop of rain fell from the sky, there was indeed a downpour as the punters flooded in through the gates, and the beer flowed freely. 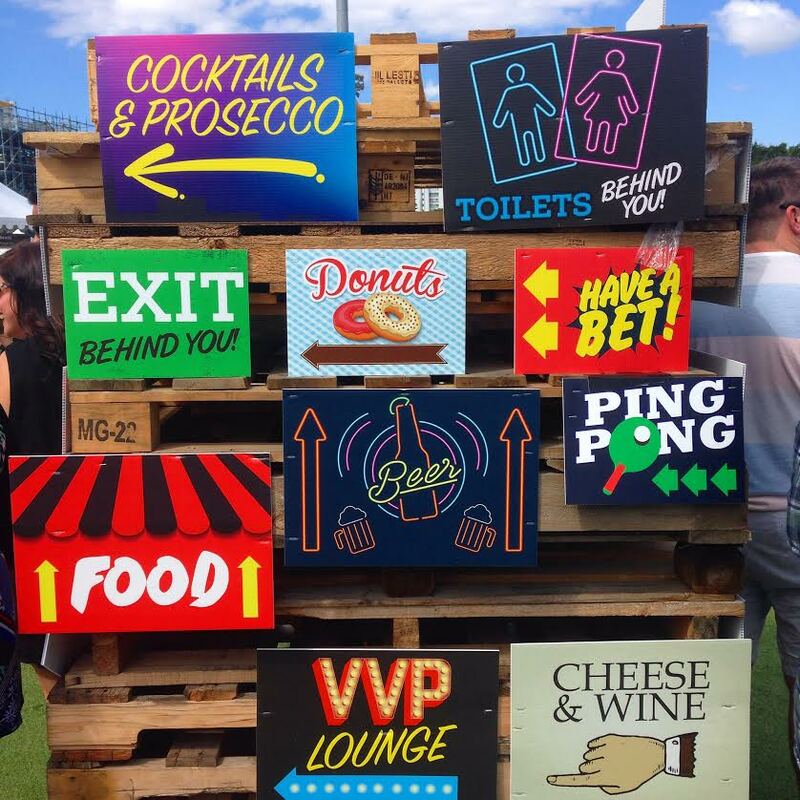 From the moment you arrived at Beer InCider Experience, you were greeted by a constant waft of savoury smells to whet your appetite, and an overwhelming variety of beverages to wet your whistle. 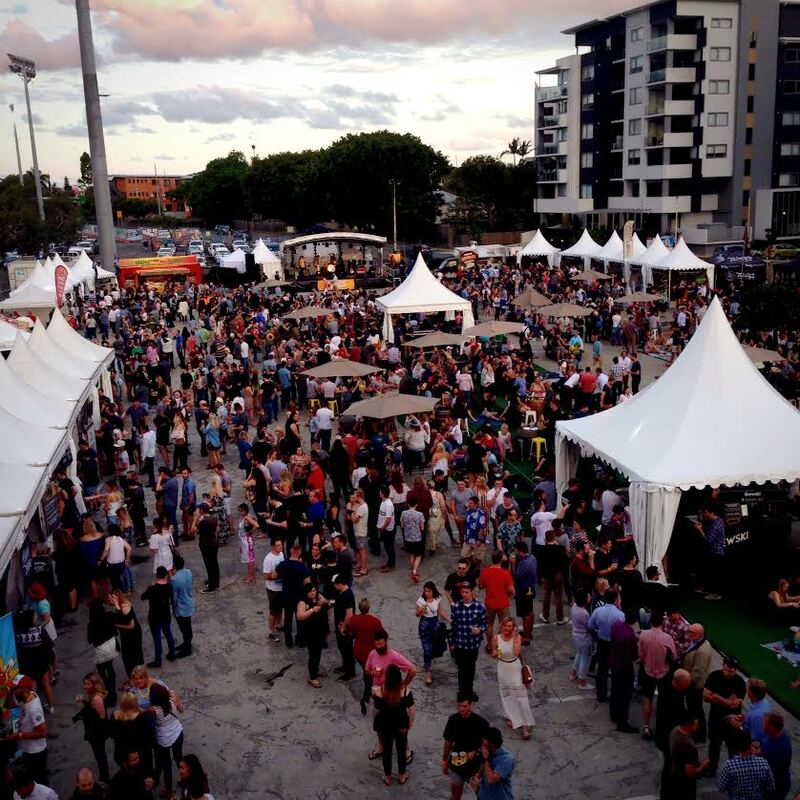 For any of you non-Brisbane people reading this, Beer InCider Experience is a craft beer and cider festival (“Gasp! That was unexpected!”) featuring 184 Aussie craft beers and ciders. This was its 3rd year of serving up fresh, locally brewed hop juice. But it’s far from being a one-trick pony. Most of these people know this music far better than I do. That’s right. There was a stall with mac and cheese on chips, because why not. There was a stall that sold donuts for $3 each… or 50 for $50. I’m not ashamed to admit I spent a solid five minutes trying to come up with a good reason to buy 50 donuts. 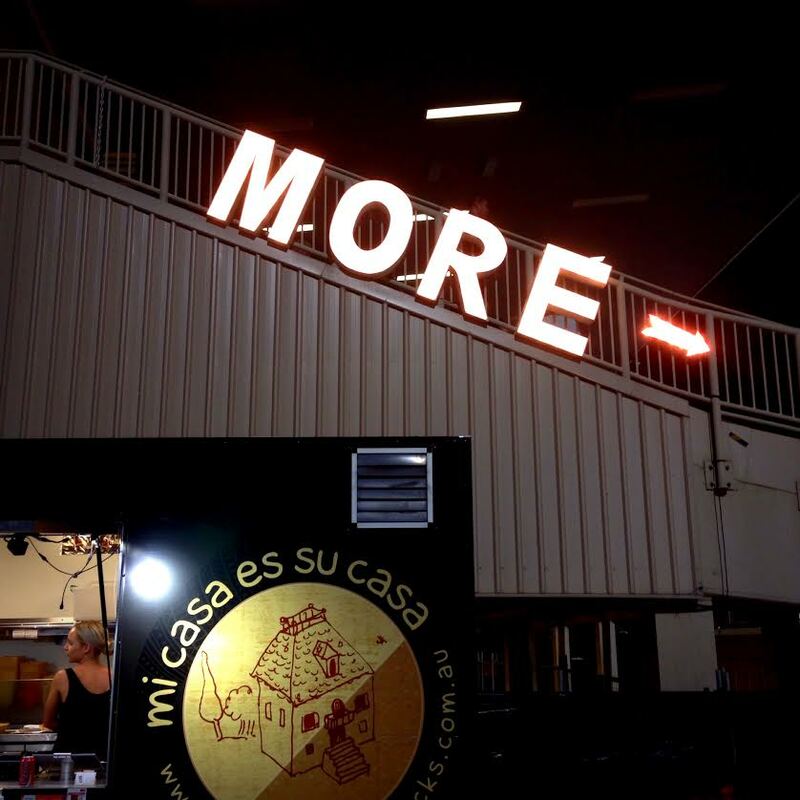 There were also your burger stalls, pizza, Greek, etc… basically every single food that beer-drinking people will get excited about. The Beer InCider powers-that-be were kind enough to provide plenty of things for people to do alongside drinking beer. Interestingly, all of these activities seemed to be either smaller-than-usual, or bigger-than-usual. Bigger than usual: Giant Connect Four (possible use for the 50 donut deal? ), and Giant Jenga. I’d like to point out that there were printed instructions for the Giant Jenga. Is that really necessary? Is it not just, ‘You pull on blocks of wood until it all falls on you’? Because that’s what we did. And I yelled ‘Jenga!’ when I made it topple over… that means I win, right? This is what you really wanna hear about, right? 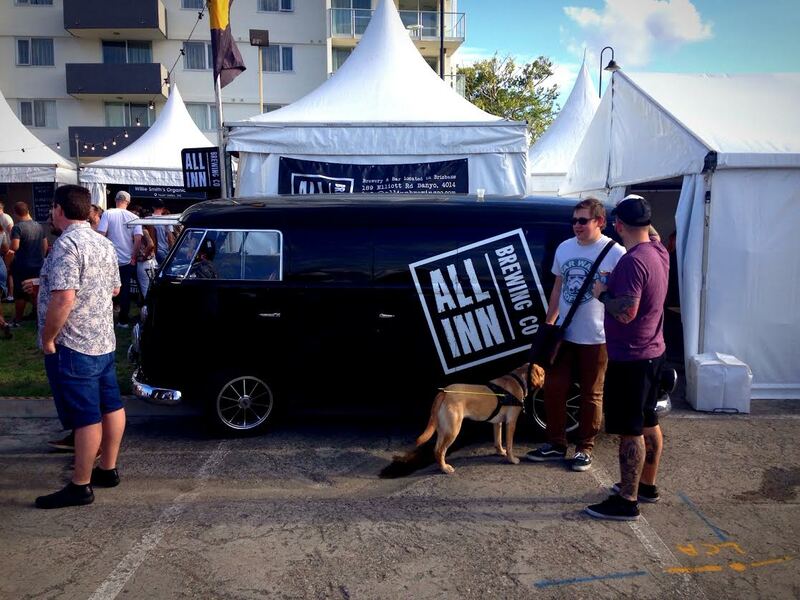 This is All Inn Brewing’s van. It’s a cool van. Let me be upfront and say: as well as beer, there was cider and wine and cocktails (Oh my!). I did not drink any of them. I’m only here to talk about the beer. 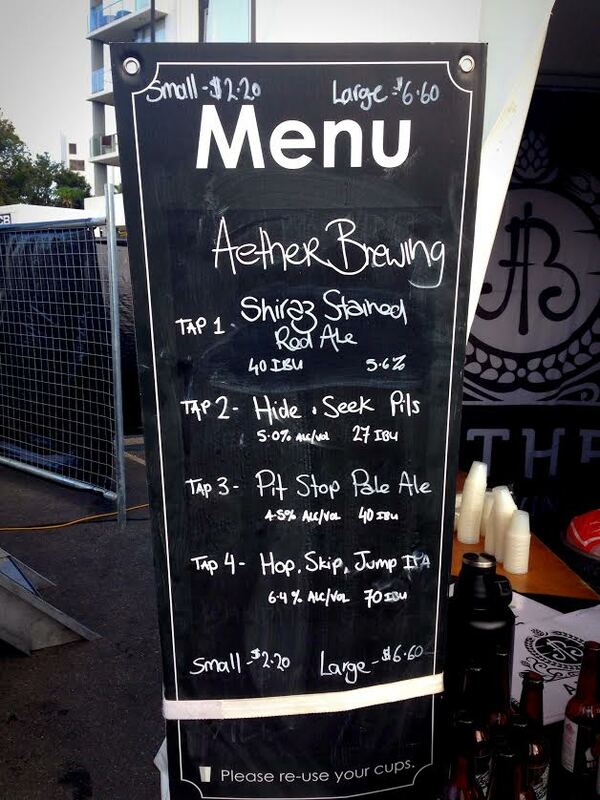 Just like with the games, there were tiny beers available—100mL tasters. 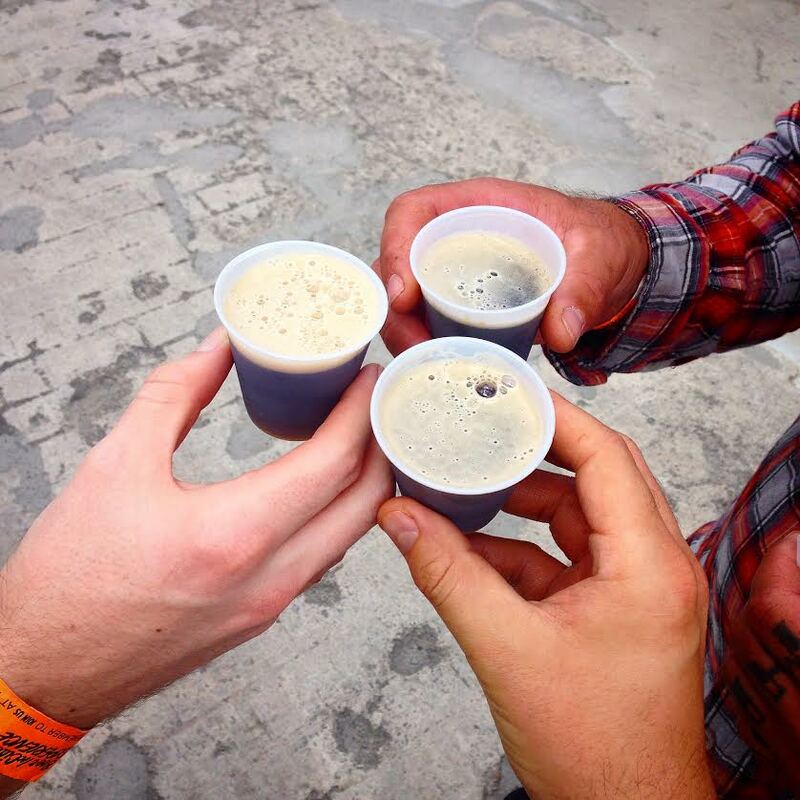 Tiny cups for maximum beer tasting. Straight away there are some strategic decisions to be made. Do I buy all smalls, for maximum breadth of sampling? Do I buy full-sized beers, to really get the proper experience of a new brew? Here’s a spattering of the beers I enjoyed. Cavalier Brewing. You know I can only hold out for so long before going over to the dark side. Within half an hour, I spotted Cavalier’s Black Coffee IPA, and pushed and shoved my way to it. The coffee ruled the palate more than the hops, but that’s exactly what I was looking for. Well played, sirs. Found me some dark beer ASAP. Mismatch Brewing. 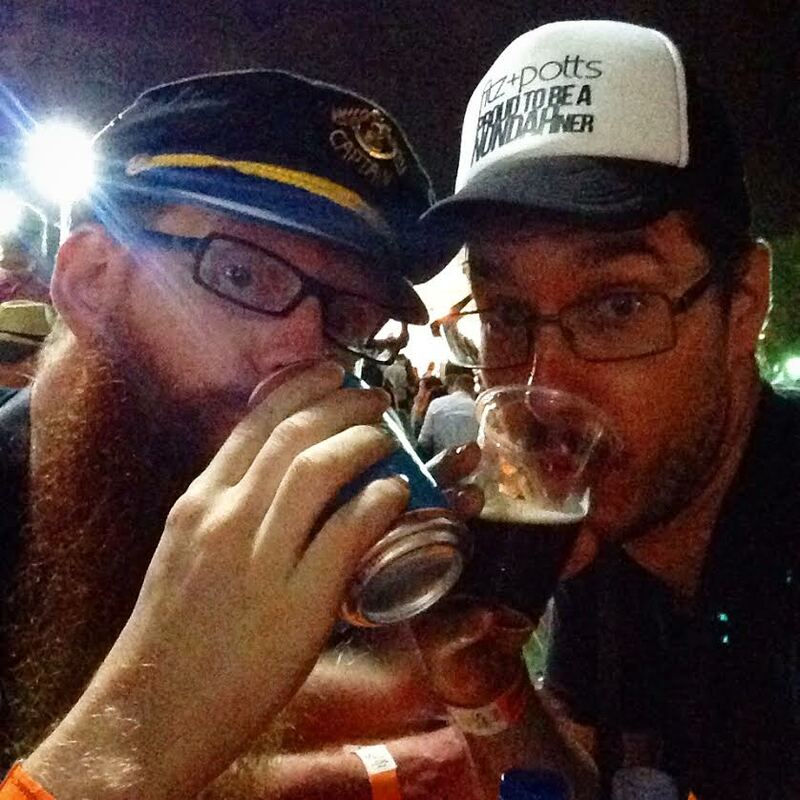 You’ve heard about them on Schoonerversity before when beergirlworld wrote a guest post about them. Their XPA is delicious. Their Red Ale is refreshing. But the sight that had my pupils dilating to the size of Giant Connect Four tokens was the tap labeled ‘Negroni IPA’. Because that, my friends, is a memory-forging beer. The first time I heard of a Negroni was when I first read the James Bond book, For Your Eyes Only. I ordered one in a bar shortly after, and was not disappointed. The sweet citrus of the gin, the herbal complexity of the vermouth, the bitter grapefruit peel of the Campari… and EVERY SINGLE ONE of these flavours shows up in Mismatch’s Negroni IPA. I will drink one of these every time I see it on tap. Cannot recommend highly enough. 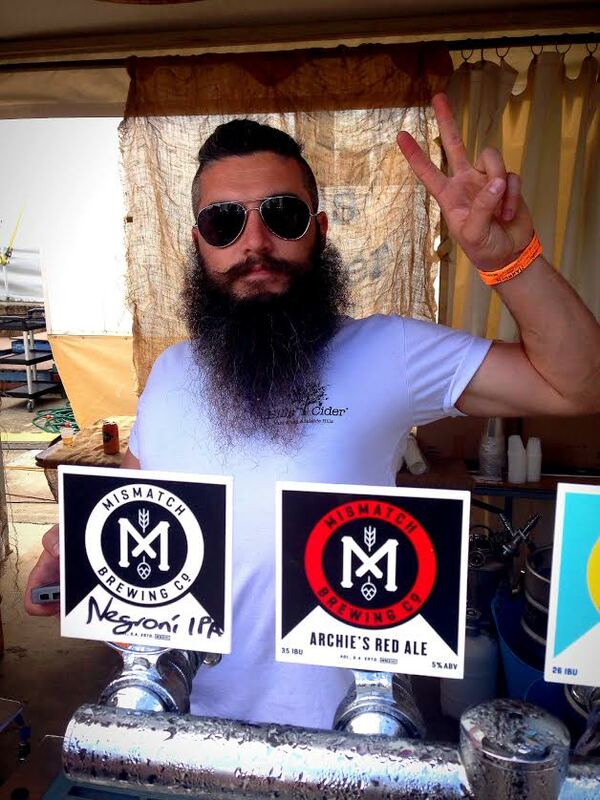 Newstead Brewing Co. I always feel like I’m cheating when I talk these guys up, because I love them so much as people (but don’t tell them that). But the fact is, they make damn good beer. The Tokyo Faceplant Brown Ale showed its face at Beer InCider, wearing its Sorachi Ace proudly, and the Waimea Single Hop IPA was summer in a glass (er, plastic cup). Kaiju Beer. If there’s one thing Beer InCider was lacking on the Schoonervers-o-meter, it was beers higher than 8% ABV. I spend most of my beer-drinking life above this mark, and by the time evening fell, I was just itching for a beer that would treat me like a grown-up. I thought about a Rocks Brewing RIS… but they were sold out. A Cavalier Imperial Stout? Sold out. But trust good ol’ Kaiju to bring the beasts. Betelgeuse. A big bad red that makes Pacific Rim look like the Teletubbies. Kaiju, thank you so much for bringing monsters to the party. Look, as much as I love beer, I always enjoy it exponentially more when I’m in excellent company. 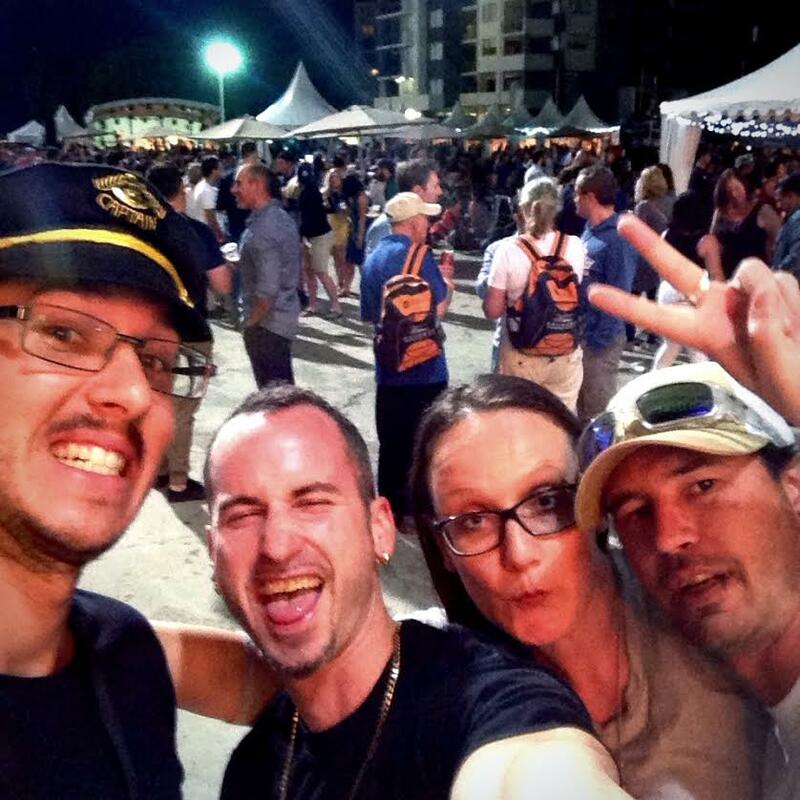 When you’re surrounded by down-to-earth brewers and chatty sales reps, light-hearted punters and helpful bartenders, old friends and new friends who all have a love of great beer in common, it’s hard to have a bad time. I don’t know who these people are. They wanted a photo with me. I acquiesced. Lots of people sharing one common interest – a love of beer. 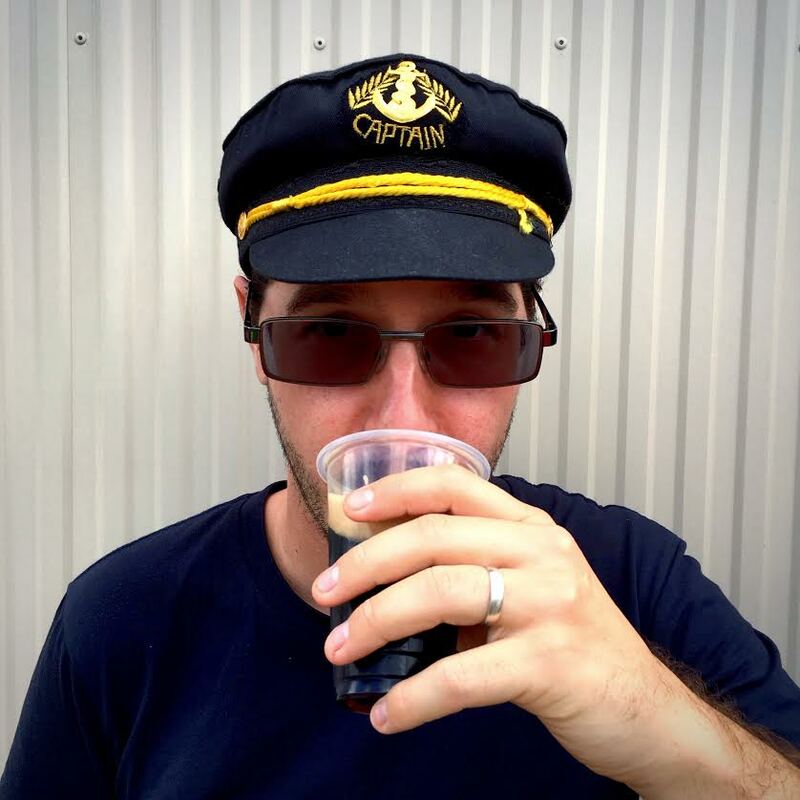 I’ve said it before, and I’ll say it often: the Brisbane beer community is full of heroes, but refreshingly lacking in villains. And with beer bloggers and Beerstagrammers like BeerFoodBrisbane, Brews and Bacon, FoodGrogBlog, RPM, Brewsearch, CraftBeerQuest, 250Beers, and the President of BrewsVegas himself, Beer Tragic, is it any wonder that so many of us look forward to the beer events that bring us all together? Jason of Brews and Bacon swapped hats with me. Which would be fine if his hat weren’t a tiny hat for children. So cheers, Beer InCider. I raise my tiny plastic cup to you. Mate. It was faaaaaaantastic. Thanks for the countless hours you (and many others!) put in to make it happen for us.